In the Gulf of Mexico, 27 coral reefs form a submarine mountain range that runs between six islands in an area stretching for miles. Hundreds of colorful fish species, sea urchins, starfish, and sea grasses share the reef with an abundance of other life forms. This is the magnificent Veracruz Reef, the largest coral ecosystem in the Gulf. Unfortunately, planned expansion of the Port of Veracruz, recently approved by the Mexican government, will damage the reef and harm the creatures that depend on it for survival. The project will also harm the nearby Los Tuxtlas Biosphere Reserve, a jewel of Mexico’s Emerald Coast, because developers will mine it for rock to use in port construction. The environmental authority approved the port development in 2013, even though Mexico declared the Veracruz Reef System a National Protected Area in 1992. What’s more, Mexico is a party to the Ramsar Convention, an international treaty for the protection of wetlands of international importance - which includes the Veracruz Reef. Despite the reef’s recognized significance, the government has officially reduced the size of the protected area to make way for the larger port. "Now is a good time to call the attention of world leaders and diplomats to Mexico’s unsustainable actions," said AIDA legal advisor Sandra Moguel. Mexico is preparing to host next year’s Conference of Parties to the Convention on Biological Diversity, an international treaty to sustain the rich diversity of life on Earth. The letter requests two things of the Secretariat: assess the harms that the expansion will cause, and ask Mexico to revoke project authorization because of the serious impact it will have on the diversity of life on the reef. "The manner in which the government has authorized this development project worries us," Moguel said. "Mexico has breached their international commitment to protect the rich biodiversity within its borders, particularly when it falls within natural protected areas." AIDA’s marine team has been working on similar cases in Mexico and throughout the region, gaining expertise in national and international laws that enable the protection of coral reefs. They have produced a report that synthesizes knowledge gained through years of such work, The Protection of Coral Reefs in Mexico: Rescuing Biodiversity and its Benefits to Mankind (in Spanish). "We want to interest and inform people working in wetlands protection," Moguel said. "There is a diverse array of legal tools at their disposal, which they may not be aware of," Moguel said. "In addition to describing our own legal work on this issue, we discuss the power of international treaties and commitments that nations must abide by." The report outlines the importance of coral reefs in the world - in Mexico in particular - explores case studies, outlines relevant international treaties and obligations, and looks to best practices from nations around the region for inspiration. AIDA Marine Senior Attorney Gladys Martínez said that reports such as these are intended to raise awareness of the legal means available to protect wetlands and to highlight the different methods that decision-makers can use. 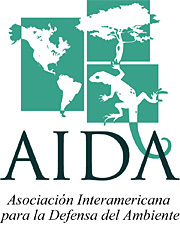 "AIDA selects emblematic cases like these of Mexico, to illustrate environmental problems that recur throughout the hemisphere," said Gladys Martínez. "The threats to the Veracruz Reef System are a sign of the urgent need for nations to take effective measures to protect coral reefs and comply with their international obligations." AIDA has launched a campaign to fund the marine program’s continued efforts to protect corals in the region. Our work will provide advocates and decision-makers with the practical resources, recommendations, and tools needed to improve coral reef protection. Your donation will directly support this work, and provide a brighter future for the brilliant array of life on the coral reefs of Latin America.